A feature of domestic life before World War 2 was that a high percentage of married women did not work outside the home, and May Pitt was part of that convention, her occupational status given as home duties. Husband Alfred was a storeman. Women occupied a central position in neighbourhood networks, and their auxiliaries and distress societies formalised and gave recognition to informal networks that existed for decades. The 1929 timber strike had a radicalising impact on many Glebe women. Women were conspicuous by their absence from local government. Women who owned property could vote but their right to election as a councillor was not conferred until 1918 under the Women’s Legal Status Act. 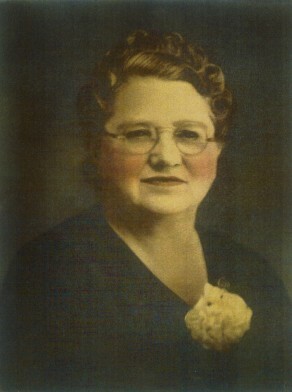 Lilian Fowler was the first NSW woman alderman in 1928, and Australia’s first woman mayor in 1938-39. Pitt, an important member of Glebe branch, and of Glebe Council (1941-46), joined three other women elected to inner city councils in 1944: Lillian Fowler (Newtown), Ebena Isles (Redfern) and Margaret Laver (Balmain). Pitt resigned from Glebe Council on 25 October 1946. May Pitt was the first female member of executive of NSW Local Government Association. The masculine Anglo-Celtic atmosphere of inner city Labor Party machines meant women did much of the hard work at a branch level but were not rewarded by representation on Council. Pitt, a strong and influential woman, was an exception; she was interested in obtaining assistance for the unemployed, establishing playgrounds and community activities, and a good friend of Pat Hills. Her contributions to the life of Glebe, and to local government, are remembered in May Pitt Playground in St Johns Road, Forest Lodge.